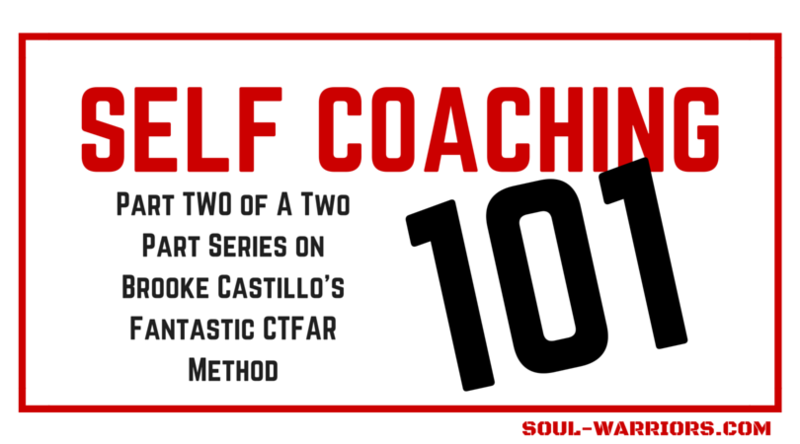 We’re diving in further to Brooke Castillo’s Self Coaching 101 this week. 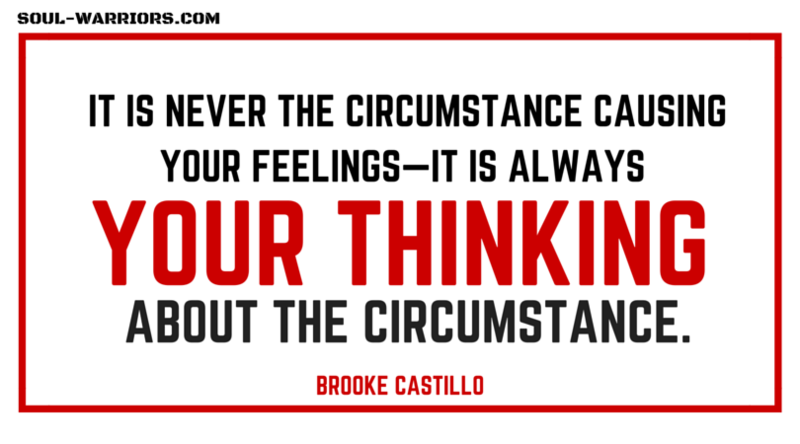 In case you missed last week’s post, the key takeaway is that circumstances don’t cause feelings – thoughts cause feelings. Luckily we’re able to change what we’re thinking, and Brooke’s CTFAR model helps us do just that. As I mentioned in last week’s post, one of the many reasons I admire Brooke and her work so much is her generosity in sharing this material. She has made the entire book available in PDF form downloadable for free. She has allowed anyone to reprint any portion of the book, as long as it is attributed properly. To ensure I’m doing that properly, please note that anything I’m quoting from the book has been reprinted from Self Coaching 101: Use Your Mind – Don’t Let It Use You with permission from the author Brooke Castillo – www.brookecastillo.com. Thoughts, in turn, cause feelings. Feelings cause us to take actions. You may want to review last week’s post if this is not clear, or if it’s easier for you to learn from video, check out Brooke’s video on the model overview. One of the challenges I often find with clients (and myself!) is that it’s not always easy to identify exactly what I’m thinking at any given moment. It’s confusing sometimes to have to find a thought before applying any of the other great thought-changing methods. I love Brooke’s CTFAR model because it makes it easy to access the thought from any starting point. As with any thought work, it’s significantly easier to show you what I mean, so let’s walk through some scenarios from my own life this week to demonstrate. We’ll go through the model five times, beginning each time with a different piece of the model as our starting point. A fairly neutral scenario occurred with one of the executives I work with in my contract position. She came by, gave me an update on a meeting, hesitated and then said she would email my project leader for her to set up a larger meeting next week. Thought: OMG! She hesitated – she must have been expecting me to volunteer to email my project leader to set up the meeting! Actions: Walk to her office and volunteer to email my project leader to set up the meeting. Results: She now expects me to email my project leader and set up the meeting, and may expect me to volunteer to do so in the future as well. I have no idea why she hesitated – though very intuitive, I’m not a full-on psychic mind reader. She might have hesitated because she was distracted by the massive spreadsheet behind me, or because her stomach was growling, or she was putting her thoughts in order. She is not shy – if she wanted me to email the project lead, she would have just said so. Circumstances: The VP came by, gave me an update on a meeting, hesitated and then said she would email my project leader for her to set up a larger meeting next week. Thought: She is not shy – if she wanted me to email the project lead, she would have just said so. Actions: Continue working on massive spreadsheet. Results: If she wants me to do something, she will ask me. Once in a while the thought is the obvious starting place. I usually notice this when I’m berating myself internally about something. The thought(s) that has/have been bugging me this week: “I am wasting my time on this visual project! I should be out talking with people instead!” This gives us a prime example of why thoughts can so tricky – they don’t just show up alone. For our purposes, I’m going to run through just one, as it will give you the flavor, but if they are persistent, it’s worth doing any thought clusters you find. Circumstances: (It’s not essential to do this when you know the thought.) I’m spending a lot of time on a project. Thought: I am wasting my time on this visual project! Actions: Rush through the project or abandon it altogether. Results: Since this is a project that will only pay off if done well, rushing/abandoning it means I’ve wasted my time on it. Thought: This visual project is essential to building my foundation, and a strong foundation is the key to long-lasting success. Actions: Carefully and joyfully invest time and energy in the project. Results: The investment of time, thought and energy lets me see the path clearly, avoiding future rework and building a strong foundation from the start. 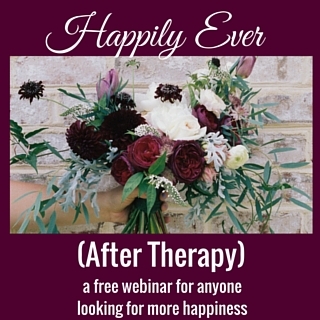 This is a common entry point to the model for me and many clients – noticing I feel kinda crappy. From there, I find the thought. My example this week was driving back from lunch with a couple of friends. The lunch started out fun, but we ended up in this semi-joking turned semi-ugly conversation about Billy Idol, of all things. Driving back, I noticed that I felt tense, upset, and even a little nervous. Circumstances: Billy Idol discussions prompt a mini-hate-fest. Thought: I don’t want to escalate the tension here even more. Results: The weird silence escalates the tension even more. Thought: This Billy Idol discussion was a non-event. Results: I wouldn’t even remember the “Billy Idol incident” if I weren’t looking for examples for this blog post. This is often the most obvious one to see – an action you are doing or not doing, that you would like to change. Lately I’ve been working on keeping my kitchen super-shiny because it feels so restful to walk into a clean kitchen. But I don’t particularly like cleaning immediately after cooking, so it’s taken some thought-intervention. In this case, my action-intervention moment was one where I was going to leave the dishes in the sink and go back to that giant project from the “Thought” example. I didn’t even bother to look at the thought behind walking away (I’m guessing it was the usual – “I’ll do this later.”) Instead, I decided the action I wanted – taking 5 minutes to immediately wash the dishes. To work the model backwards, I found a feeling that would produce the action of me immediately washing dishes – enthusiasm and excitement. To find a thought that produced that feeling, I came up with, “Maintaining a sparkling clear kitchen is such a gift to myself.” That worked! You can see it in the model. Circumstances: I have just eaten dinner and have dirty dishes. Thought: Maintaining a sparkling clear kitchen is such a gift to myself. Results: Gave myself the gift of a sparkling clear kitchen. Results: A website look that doesn’t represent me. Actions: Create a website background that is outside of my energetic range. Thought: Since my new programs are based on what I’m calling ‘sparks’, I should use fire metaphors/visuals all over my site. Results: A website look that properly conveys the energy of working with me. Actions: Base my design choices on my spirit and what I provide for my clients. Thought: My website is a virtual representation of the energy of working with me, and authentically conveying that is the primary goal of having a website – everything else flows from that. That feels good and true to me. Does it mean I’m reworking some of my program visuals? Yes, but that’s a good thing. I’d rather feel free and excited and have more work than trapped and obligated with less work. 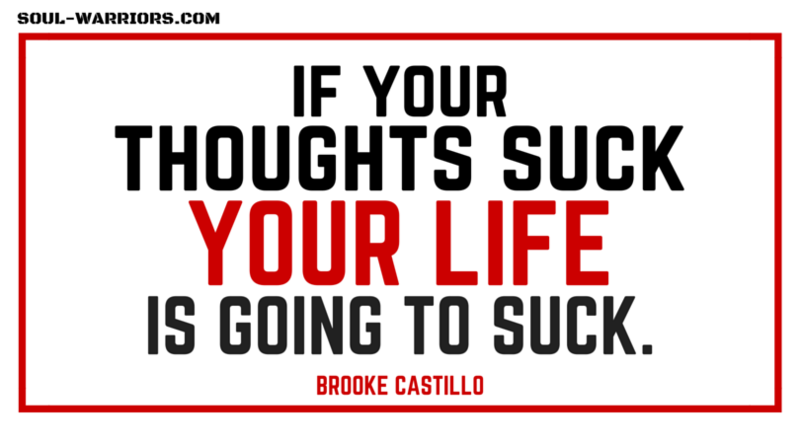 And that’s the point of Brooke’s model – feeling good and intentionally creating results. 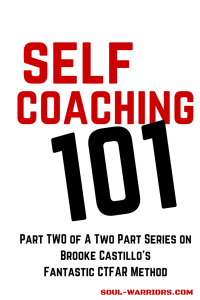 If you’d like a little more on how to work the model from any starting point, Diane Hunter has generously uploaded the Self Coaching 101 worksheets, available here. Want to help out your fellow readers? Leave a comment below with an example of how you could have used the model this last week to change a situation.